Weak Chinese export data dialed up fears on global growth and sent the FTSE 100 sharply into reverse with US jobs numbers to come this afternoon. By midday the index of leading UK shares was down more than 1% at 7,084.61. Plastic packaging company RPC fell 1.3% on news that it had agreed to a £3.34bn takeover bid from Berry Global International Holdings that trumped a rival offer from Apollo Management. Building materials supplier SIG jumped 8.4% to 132.4p as it swung to an annual profit, despite falling sales, thanks to improved margins. Pharmaceutical giant GlaxoSmithKline revealed that its ViiV Healthcare joint venture with Pfizer had recorded positive results from two clinical trials of an injectable two-drug regime for the treatment of HIV. Outsourcing company Serco fell 1.6% to 133.4p, despite announcing that it had signed a contract worth up to $200m to provide field office support services to the US Pension Benefit Guaranty Corporation. 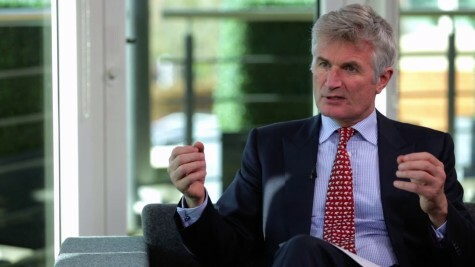 Computer services provider Computacenter gained 1.5% following news that it had appointed current director Peter Ryan as its new chairman, to replace Greg Lock. Polymetal International said its annual ore reserves had increased 15% amid the further development of its assets in Russia. Its shares gained 0.6%. Sub-prime lender Non-Standard Finance, which had made a £1.3bn hostile takeover bid for rival Provident Financial, gained 1% to 60p after it reported narrowing losses and higher underlying profits. Struggling department store chain Debenhams jumped 14.7% after Sports Direct boss Mike Ashley moved to appoint himself to the company's board in an executive role -- and oust nearly all the other directors. Sports Direct currently owns around 30% of Debenhams, which said it was 'disappointed' with Ashley's move. Cold storage group Norish gained 1.5% to 66p after it posted an 18% rise in annual profit, even as sale slipped, as cost cutting helped expand margins.